Waltham, Mass.—June 5, 2013—A global payment solution provider today announced the opening of a London office to meet unprecedented demand for its products in Europe. 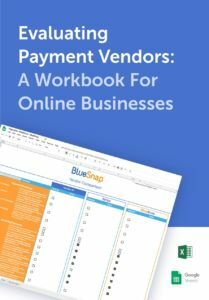 BlueSnap, which currently works with more than 5000 merchants worldwide, announced the move as part of a strategic plan to grow its market share of the burgeoning payment solutions market globally. The company has also confirmed it is in advanced talks with multiple additional merchants keen to use its solutions, which optimize the checkout experience for merchants and assist in converting more shoppers to buyers. BlueSnap’s London base supplements the company’s existing offices in Silicon Valley, Boston, Mass. and Israel and enables the company to capitalize on the rapid growth of web-centric businesses in what is arguably Europe’s largest tech hub, whilst also becoming a launchpad for further expansion across the continent. The company was also recently awarded PYMNTS.com’s highly acclaimed 2013 Innovator Award, and announced a new merchant control panel, SnapConsole, to allow merchants to expedite their setup process and get their business up and running quickly.